Here’s one such proxy site that you can build for your friends in China or even for your personal use (say for accessing blocked sites from office). 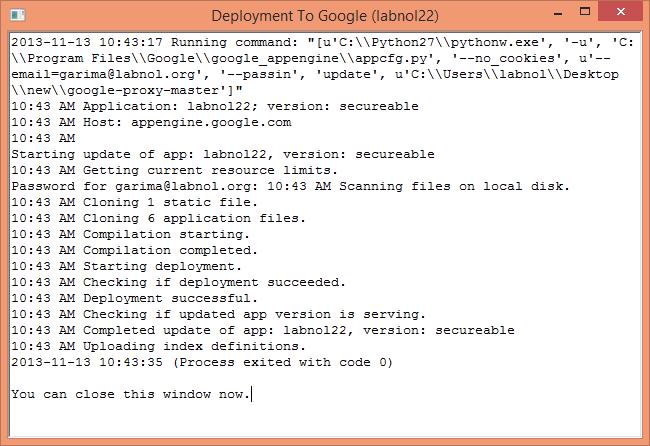 This is created using Google App Engine and, contrary to what you may think, the setup is quite simple. 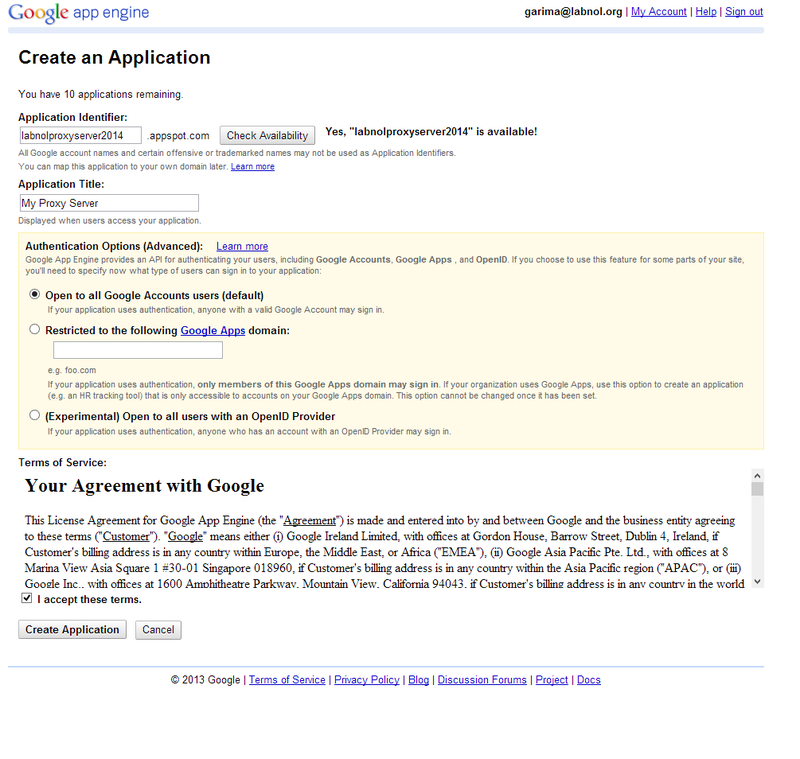 Go to appengine.google.com and sign-in using your Google Account. Click the “Create an Application” button. Since this is your first time, Google will send a verification code via SMS to your mobile phone number. Type the code and you’re all set to create apps with Google App Engine. OK, now that we have reserved the APP ID, it’s time to create and upload the proxy server application to Google App Engine. Go to python.org, download the 2.7 Installer and install Python. If you are on Mac, Python 2.7 is already installed on your computer. Download this zip file and extract it to your desktop. 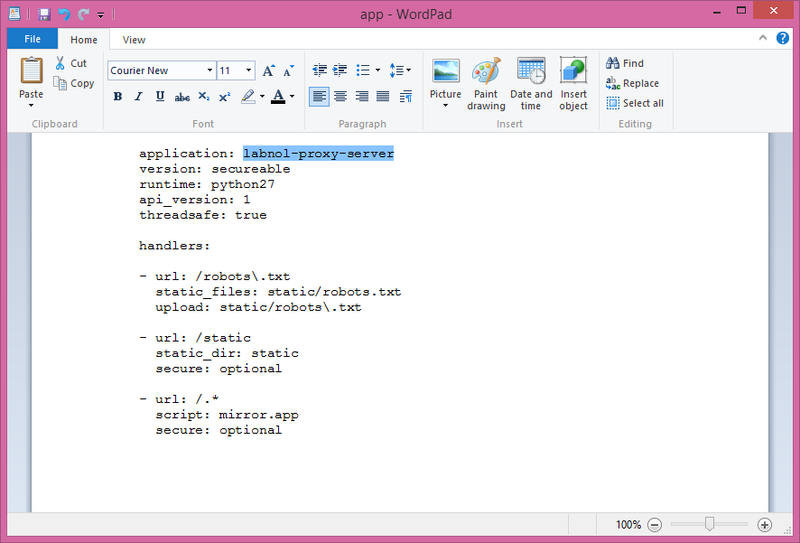 The zip file contains a couple of HTML, YAML and Python (.py) files that you can view inside WordPad. 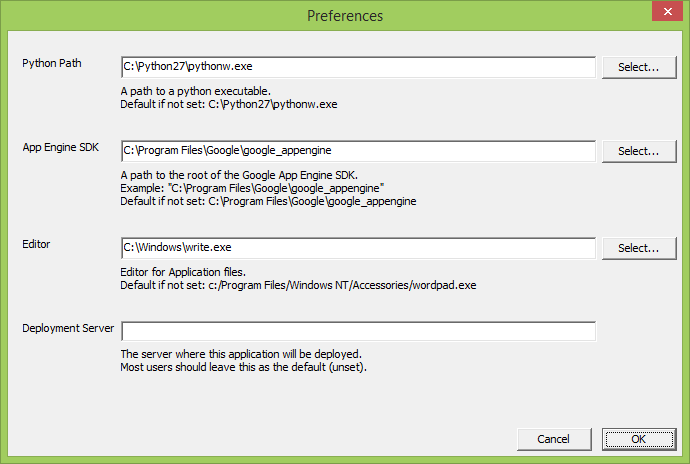 Choose Edit -> Preferences inside the Google App Engine Launcher program from the desktop and set the correct values (see screenshot) for the Python Path, App Engine SDK and the Text Editor (set this is as WordPad or write.exe and not notepad.exe). Click File – > Add Existing Application under the Google App Launcher program and browse to the folder that contain the index.yaml and other files that you extracted in Step 5. Once the project is added to App Engine, select the project and click Edit to replace “YOUR_APP_ID” with your App ID (screenshot). Save and close the file. Click Deploy, enter you Google account credentials and, within a minute or two, your online proxy server will be deployed and become ready for use (screenshot). The public URL (or web address) of your new proxy server will be your_app_id.appspot.com (replace your_app_id with your App Engine Identifier). [*] The sub-domain or the App ID will uniquely identify your App Engine application. For this example, we’ll use labnol-proxy-server as the Application Identifier though you are free to choose any other unique name. You can edit the main.html file to change the appearance of your proxy website. You can even add code for Google Analytics and Google AdSense code to monetize your proxy server. The proxy server is public on the web (open to everyone) but you can add a layer of authentication so that only Google Account users who are logged-in can use your proxy server. As some of you have suggested, web domains with the word “proxy” or “proxies” are banned at workplaces so you may avoid using them in your appspot.com proxy address. Though there exist proxy servers for accessing secure (https) sites, this is a basic proxy server that won’t work with sites that require logins (like Gmail). The proxy server code is available on Github and is fork of the Mirrorr project.